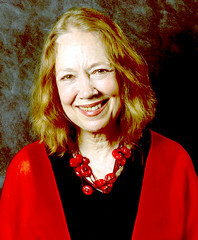 Connie Crothers reorganized in 1987 the New Artists label as a cooperative record company. She has participated in the expansion of this label to include an extensive catalog of CDs, all expressive of the company’s premise and label identity — improvised original music. New Artists Records was featured in the July 2000 Issue of Jazz Times. Connie Crothers appeared at Birdland, New York City, when the club featured the record label with performances by the artist-producers on April 5, 2000. Birdland presented the label on seven consecutive Saturday afternoon performances in May-June 2000; she performed with her quartet featuring singers Linda Satin and Harry Schulz. Birdland will present the label once weekly starting September 2000. Connie Crothers, pianist, is known for her uncompromising approach to spontaneous improvisation. Seven of her CDs have been chosen by critics for their year’s best lists. Her quartet’s most recent CD, featuring Richard Tabnik, Roger Mancuso, Ratzo Harris– “Music is a Place” –was chosen by Stuart Broomer for his list of the best 10 records of 2007. “Love Energy,” a quartet record with Lenny Popkin, Carol Tristano and Cameron Brown, was voted #1 record of the year in Wire. Connie recorded duo with Max Roach, “Swish,” and performed duo with him at the Brooklyn Academy of Music, in Tokyo, and at Harvard University, where she was honored as Visiting Jazz Artist. She has performed solo in the Vision Festival and at Merkin Hall in NYC; the Berlin Jazztage; Jazz at Middleheim, Belgium; DuMaurier International Festival in Toronto; Carnegie Recital Hall. She performed with her band at the JVC New York Jazz Festival, De Singel, Belgium, Bim House, Netherlands. Other performances include appearances with Jemeel Moondoc, Henry Grimes, Kevin Norton, Kazzrie Jaxen, Roscoe Mitchell, Warne Marsh. She performed in the NYC venues Location One, The Stone, Tonic, The Village Vanguard.